Posted April 8th, 2019 by AJ Mfg & filed under News & Announcements. Businesses Can Continue To Deduct Up to $1 Million in Qualifying Nonresidential HVAC Equipment Purchases for the 2019 Tax Year. The expansion of the Section 179 tax deduction in the 2017 Tax Cuts and Jobs Act has been extended for the 2019 tax year. 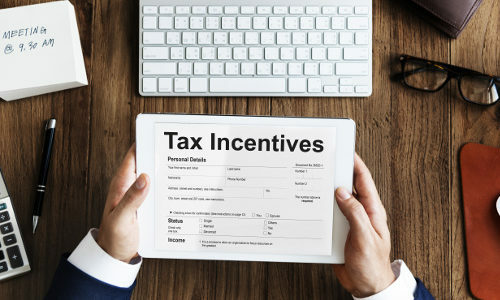 This means businesses can still take a 100% deduction for up to $1 million in qualifying nonresidential HVAC equipment purchases for the 2019 tax year, which obviously helps justify replacement costs vs. repair costs. The Tax Cuts and Jobs Act that was signed into law in December 2017 contains the expansion of Section 179 – a real benefit for the HVAC industry. Created in 1958, Section 179 allows companies to take depreciation deductions for certain assets in one year rather than depreciating those items over the useful life of the product – historically, over a 39-year period for HVAC equipment. The tax reform bill incorporated HVAC products in Section 179 for the first time, and offered important savings for both small and large projects. This change to 100% immediate expensing provides a great opportunity for building owners to save money when making new HVAC purchases…and it’s often enough money to convince them to replace old equipment with new and more efficient systems. Sales reps and contractors need to be prepared to educate their customers about this little-known tax advantage. Click here for an informative graphic explaining the benefits of the Section 179 expansion prepared by HARDI (Heating, Air-Conditioning & Refrigeration Distributors International). AJMFG manufactures stainless steel air distribution equipment. The company continues to produce some of the world’s best commercial stainless steel HVAC products with a strong emphasis on products specifically designed for sterile environments. A-J remains a strong presence in the HVAC industry, and continues to grow and diversify its products, many of which are featured in the world’s most successful hospitals, laboratories and commercial buildings today.